"The objects in pictures look out at us serene or severe, tense or relaxed, comforting or forbidding, suffering or smiling." Thus said Paul Klee (1879-1940) in a lecture on modern art in 1924. It is an entirely accurate description of his own work, drawing as it does on dream and nightmare, fairytales and apocalyptic visions, not to mention landscape, portrait, architecture, aquatic scenes, the world around him and abstract imaginings: the whole gamut. Klee was an acute annotator of the natural world, and turned his superb powers of observation just as much to human behaviour to give oblique visual comments on society, which is why his small-scale work is often so quietly hilarious, or – equally – profoundly disturbing. As he also remarked, art does not reproduce the visible; rather it makes visible. This Swiss-German pipe-smoking violinist was also, as it happened, one of the very greatest of 20th-century artists, idiosyncratic and compelling. The scale of his achievement is made brilliantly clear in this generous – 130 works and counting – retrospective at Tate Modern. 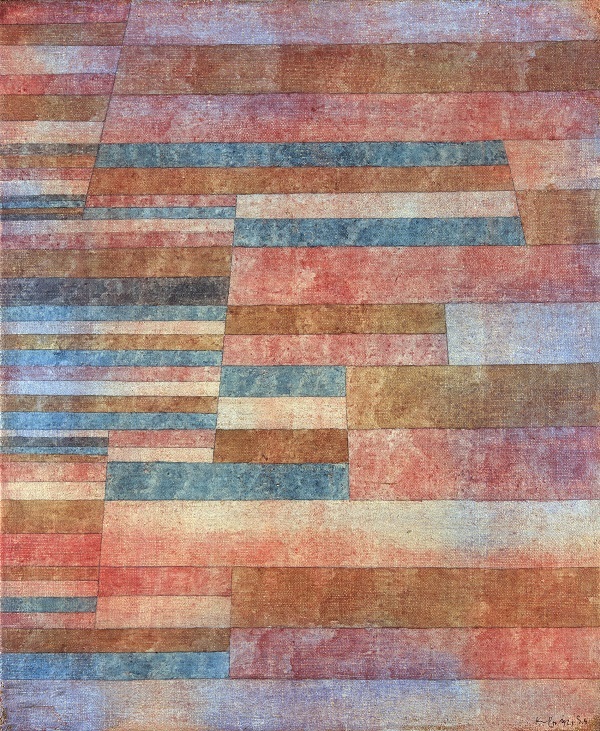 In a sense they are Klee’s Klees, as all were exhibited in his lifetime, and are among those that this most meticulous of artists could allow out into a public arena. This exhibition is actually organised through five of his major shows - Munich 1920, Berlin 1923, New York 1930, Berne 1935, and the very last, Zurich 1940. It is a big collection of small works, and a one-off which won’t travel. His indelibly memorable art is perhaps all the more unexpected because of its determinedly modest dimensions, invariably domestic in size. We are reminded that Klee was profoundly respected by his peers in his own time: Picasso came to call, and at the Bauhaus where he was a conscientious and inspirational teacher he was very close to Kandinsky. Indeed the majority of work on view comes from the 10-year period Klee spent at the Bauhaus, first at Weimar, then Dessau (Klee's Comedy, below). Klee’s inventive, imaginative, always surprising images first captivate then demand the closest attention, as he paid sustained attention to colour, texture and perhaps above all line: he defined drawing, irresistibly, as "taking a line for a walk". This is neatly evident in the Tate’s own Burdened Children, 1930, where looping curved black lines somehow metamorphose into two wide-eyed staring kids lolloping along all lopsided with whatever it is they are carrying, but staggering on: funny and resolute and somehow curiously magical. As he noted about his own methodology, "I begin where all pictorial form begins: with a point that sets itself in motion." He started on his visual journeys without knowing where they might end, and this open-endedness, this sense of improvisation (however calculated and allowed for) is immensely appealing; he was alert and prepared all the time, but not for any conclusion – or resolution – known in advance. Klee could be powerfully sardonic. Christian Sectarian, 1920, is a portrait of a pink-eyed, green-faced blonde, a cross round her neck, her arms folded, a proselytiser you would not want to meet in the day, let alone at night. Fishes in the Deep and Aquarium, both 1920, and Fish Magic, 1925, attest to Klee’s absorption in glinting, twisting, piscine bodies, as elusive, fleeting and ephemeral as the music he was so absorbed by, as the impact of a moment’s vision on the eye. He could be straightforward too; turned onto colour and light, as so many of early 20th-century artists were, by an early visit to Tunisia, he later portrayed the South of France as schematically as a child in hilariously optimistic colour. Summer-House, 1929, is a range of pinks, almost nauseatingly sweet. And there are puzzles which pack a punch: Room Perspectives with Inhabitants, 1921, is a web of lines almost like a three-dimensional music manuscript, staves and all, with just a hint of a family, somehow caught in an interior that is both hospitable and sinister. Comedy (1921, pictured above), is a frieze of humanoid, animal, fantastical creatures caught in a frozen choreography, a reference perhaps to the absurdity of events and accidental encounters. Redgreen and Violet-Yellow Rhythms, (1920, © The Metropolitan Museum of Art, pictured above right), is a typical Klee, if there is such a thing: gradated colour blocks, tantalising in their overall rhythmic pacing of harmonic hues, occupy the entire picture, punctuated by stylised trees, a landscape of colour. The play between an intuitive geometry of abstraction in freehand rectangles of related and contrasting colours and recognisable form is characteristic. Overture, 1922, is a series of vertical colour columns, almost like a scale or a series of colour notes doubling back on themselves, bracketed by an A and O, alpha and omega perhaps, the beginning and the end. Park near Lu, (1938, Zentrum Paul Klee, pictured left), too is a typical conceit: a perfectly convincing although completely unrealistic sense of an urban green space, curving black lines representing trees and other flora, purples, mauves, reds, purples, grays and pinky rose all setting off the forms, and yet convincing us that this a natural and shifting light, with little dots and twirls like moons and stars. Darkness descends, both politically and personally, in the form of the degenerative disease that killed him over several years; he was dead by 60. Yet even Twilight Flowers (1940) shows flowers bursting through the purple gloom of the fading day. It was the final painting added to his last-ever exhibition in his lifetime. One unusual advantage of the Tate show is the spaciousness of the hang. Allow some time, go away and come back, as looking carefully at Klee is, while highly enjoyable and even laugh-out-loud funny, curiously demanding, the detail of colour and texture so subtle that the looking can be arduous. Leavened by wit and humour, his subtly oblique comments on society are not only eye-capturing but thought-provoking. "Half winged! Half imprisoned! This is man," he wrote; and here he is an artist for all seasons and all states of being. Could not agree more: One unusual advantage of the Tate show is the spaciousness of the hang. Allow some time, go away and come back, as looking carefully at Klee is, while highly enjoyable and even laugh-out-loud funny, curiously demanding, the detail of colour and texture so subtle that the looking can be arduous. Leavened by wit and humour, his subtly oblique comments on society are not only eye-capturing but thought-provoking. "Half winged! Half imprisoned! This is man," he wrote; and here he is an artist for all seasons and all states of being. Couldn't agree more. What an exhibition! If by chance you read this before 9 march 2014 and you haven't seen the exhibition, move heaven and earth to get there. At the end of a lengthy second visit, I though i'd do a quick walk through just as a reminder what it was all about. But the work is so rich and detailed I found myself doing the show in full all over again. 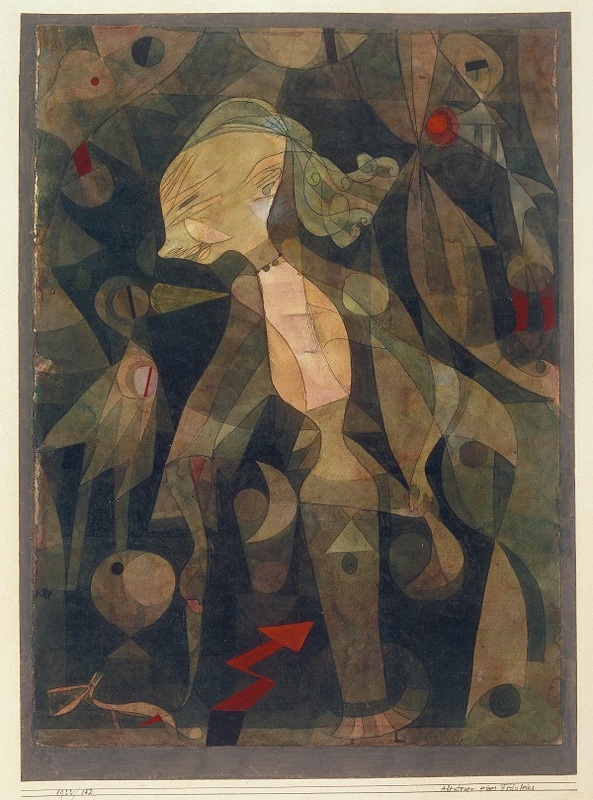 Klee is at once central to 20th c art and a complete maverick. Seen in isolation his things can just look like slightly sugary pretty pictures, but seen as a whole his work takes you on an incredible journey. I was moved.